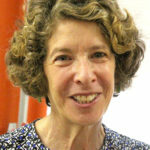 Betsy Frank is UHC para-rabbinic fellow and president. January is one of the dullest months of the year. Usually, the weather is cold and gray. Some members of our community flee to warmer climates for a few months and we miss their presence. Yet, our Hebrew calendar provides a bit of a respite with one of four new year’s celebrations noted in the Talmud. Beginning sundown Sunday, January 20, and ending sundown Monday, January 21, is Tu B’Shevat. This holiday celebrates the coming of spring in Israel and gives us hope that spring will also return to Indiana. The most prominent new year on the calendar is Rosh Hashanah, which occurs the first day of Tishrei. The first day of Nisan is the month where Passover occurs and in ancient times celebrated the reigns of Jewish kings. The Torah actually designates 1 Nisan as the beginning of the new year. Another is the first day of Elul, the month preceding the High Holy Days, commemorating the tithing of the cattle. Some congregations hold Tu B’Shevat seders, where the seven species grown in Israel are eaten. The seven species are wheat, barley, grapes, figs, pomegranates, olives and dates. Tu B’Shevat, the 15th of Shevat, is a new year sometimes called the birthday of the trees, particularly fruit trees. What was once a minor festival has evolved into a day where in Israel and the U.S., we focus on becoming more aware of our environment and the role we all play in caring for our earth. Also, more congregations and individuals donate to the Jewish National Fund for planting trees in Israel. So, in the dead of winter here in Indiana, eat some olives, dates and pomegranates and bake some muffins (Grape Nuts make good muffins) and hope for spring to come soon. Legally speaking: What is power of attorney, and when do we need it?